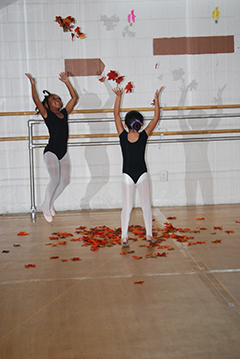 Pre-Ballet 1, for children ages 2-5, awakens the children to music and dance, coordination, and spatial/motor skills. Gentle guidance helps the beginner develop rhythm, enhances academic learning, cooperation, playful creative dance, and basic ballet skills. The classes offer an atmosphere of fun within a discipline so the children can gain a sense of accomplishment as well as explore their love of dance and music. 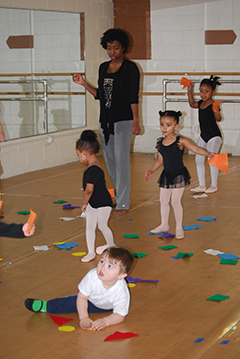 This program, Pre-Ballet 2, is introduced at a time when fine and gross motor skills are becoming more refined. By introducing students to the basic shapes, positions, postures, and traditions of classical ballet, the Pre-Ballet 2 curriculum enhances both cognitive and physical.